In honor of today’s live HD broadcast of Tosca from the Met, I decided to gather some of the critical reactions to the controversial production by Swiss director Luc Bondy when it was first introduced as the season opener in 2009. [T]he booing, if a little unfair, was understandable… Mr. Bondy had scoured the work, it seemed, looking for every pretense to flesh out, literally, the eroticism of the lovers and the lecherous kinkiness of Scarpia. ..Mr. Bondy seems to be after mood, intensity and emotion, not logic. And some of the acting that he draws from his cast is intricate and involving…[He] probably wanted to rid his Tosca of stock clichés, yet his heavy-handed ideas are just as hackneyed. Bondy certainly tried to clear away the layers of encrustation from the opera, rather like a restorer trying to clear the varnish from a painting. The problem was that he didn’t always seem to have a vision of the strong underlying image he was trying to reveal. His modus operandi seemed to be to get rid of all of the Tosca traditions and start afresh, but “afresh” often involved gestures every bit as gratuitous as the ones he was trying to replace…The strongest guiding hand of the evening was James Levine in the pit, who generally offered a reminder that this opera’s music can indeed still be fresh, vital and (in a couple of solo spots in particular) absolutely ravishing. By all means, then, let’s have a new Tosca. But it needs to be good. And this is not…. 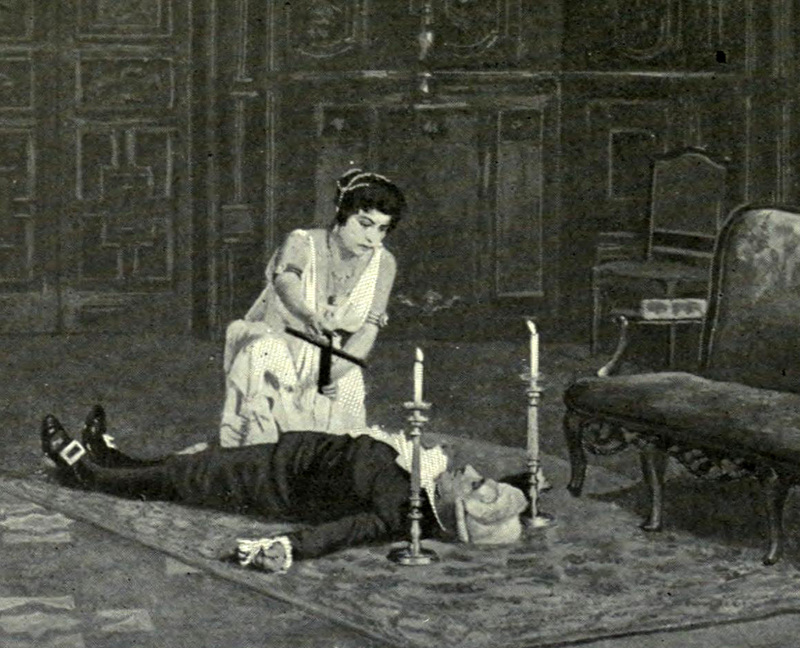 [Bondy] has failed to find a clear angle on Tosca, and instead delivered an uneven, muddled, weirdly dull production that interferes fatally with the working of Puccini’s perfect contraption…The major gaffe of the night comes after Tosca kills Scarpia, when, according to the libretto, she places candles by his side and a crucifix on his chest. ..[S]omething should happen during the thirty-bar postlude that Puccini composed for the ritual. Here…Tosca murders, then dithers…While there is nobility in an ambitious failure, there is no glory in ineptitude. There was some egregious silliness to the Bondy version, which no doubt goes some way to explain the cat calls… In act two Scarpia is being pleasured by a courtesan kneeling between his legs, a wholly gratuitous addition to Puccini’s portrayal of an evil torturer who exudes suppressed sexuality in any case.Those incongruities aside, the puzzling thing about the audience reaction last night was that in most other regards the Bondy production is striking by how safe it is, how little risk-taking and how traditional. Bondy has stripped the piece of specificity and replaced it with a grim collection of non-locales and coarse interpolations…Though Bondy has never worked at the Met before, his fashionable Euro-minimalism has become something of a house style: dim light, blank walls, black costumes, and dour abstraction….I hope the Met’s Peter Gelb is already trying to figure out how soon he can scrap this staging. Abetted by his designer, Richard Peduzzi, Bondy has turned Puccini’s sleazy masterpiece into sterile melodrama with raunchy trimmings…A different directorial gimmick cheapens the ending of each act…Bad timing, bad ideas.